We are waiting for you! If you know to sing, or play an instrument, do not hesitate to come and tell us, we can promote your music. Send us a message at top50world@hotmail.com with a little description of you and your creation. 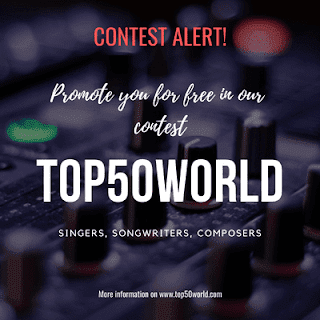 Here you can find the list of new talents participating in our contest "Top50world: Promote Yourself"